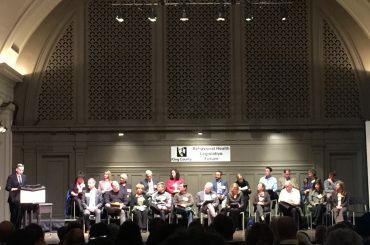 On Wednesday, December 7, 2016 the DRC of King County was proud to attend The 20th Annual King County Behavioral Health Legislative Forum at Town Hall Seattle. The Dispute Resolution Center of King County is committed to offering affordable mediation training to residents of King County. If you live or work in King County and need financial assistance to enable you to attend training, please submit 2014 Financial Assistance Scholarship Application Form no less than 6 weeks prior to the start of training. Thanks to all the people who enable the DRC to provide affordable mediation services, starting with the DRC volunteers who dedicate their time and expertise to help people of King County resolve their disputes.